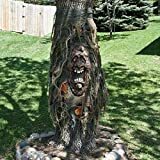 Limbs may refer to both a branch of a tree and an arm of a human, but things get downright frightening when you can't tell the difference, like when this cool new Scary Tree Face and Branch Arms Set transforms a tree in your yard into a full blown creature. 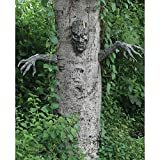 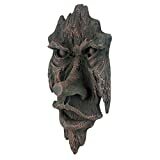 This horrifyingly realistic three piece set includes one face and two branch-like arms all sculpted from all-weather resin with a textured finish that resembles real tree bark. 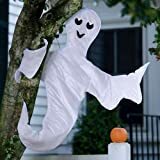 Perfect for your haunted outdoor Halloween decor or totally freaking people out all year long.